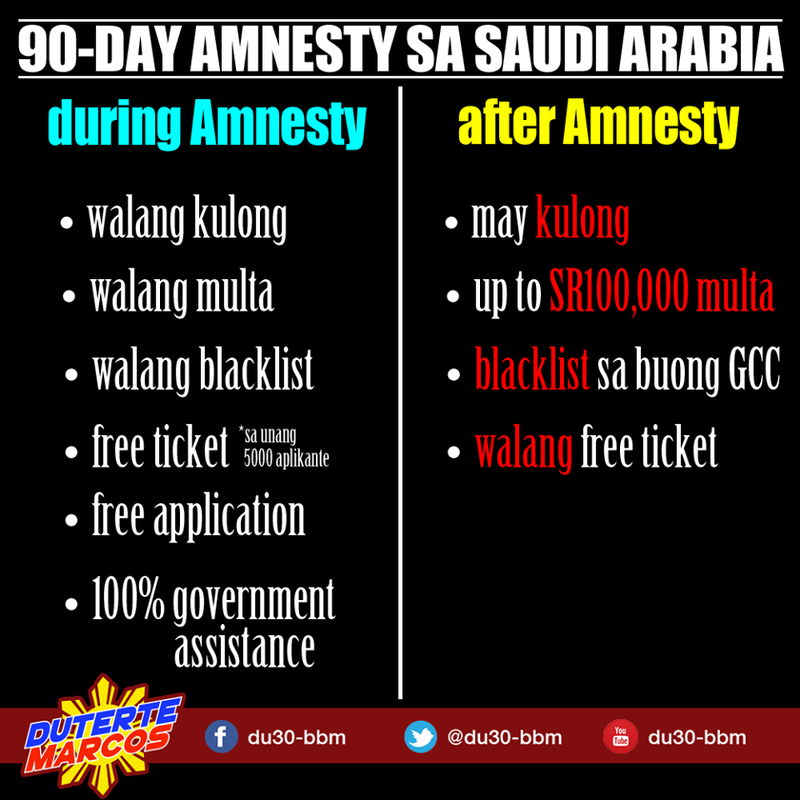 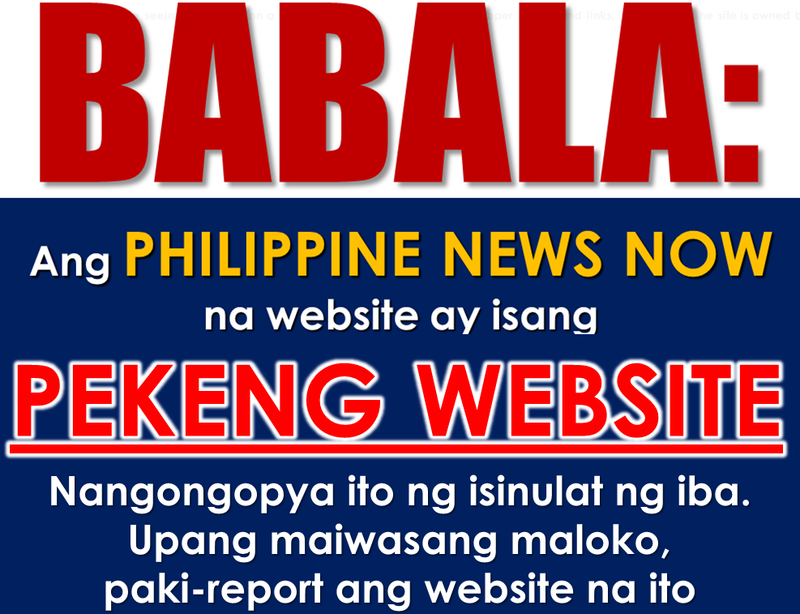 The 90 day amnesty period is ongoing in Saudi Arabia after it started last March 29. In line with this, the Consulate General of the Republic of the Philippines in Jeddah has issued a Public Advisory Number 11 Series of 2017. 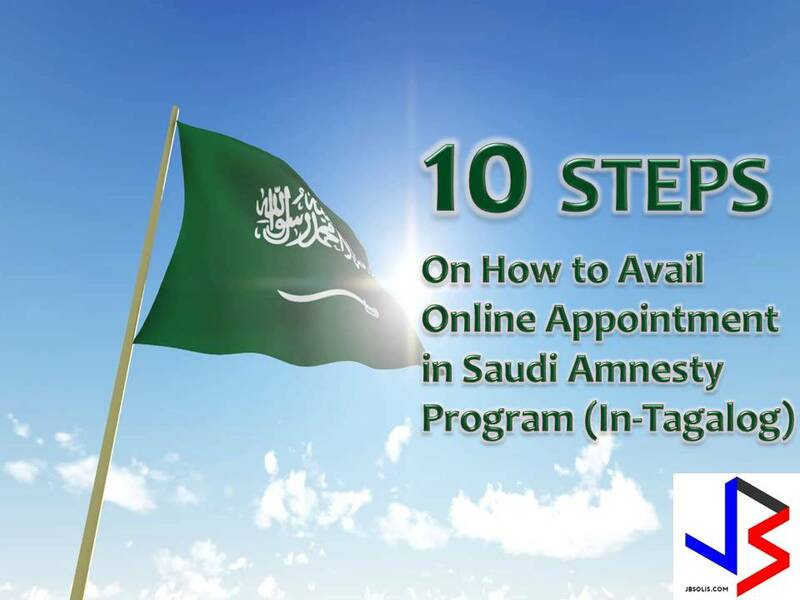 The public advisory outlined the procedures and requirements on how to avail the Amnesty Program of the Saudi Government. 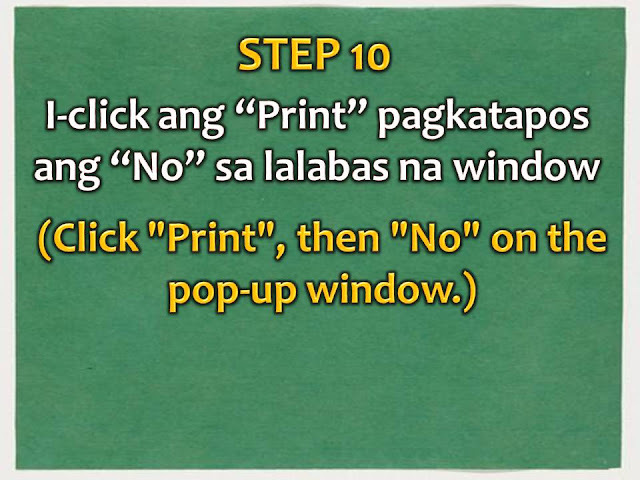 The following are the requirement and procedures for Filipinos on how to avail amnesty program of the Saudi Government. 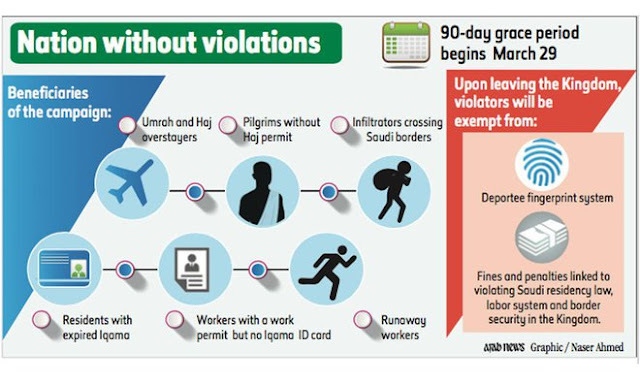 1.Those with expired Hajj, Umrah and Visit Visas including their children. 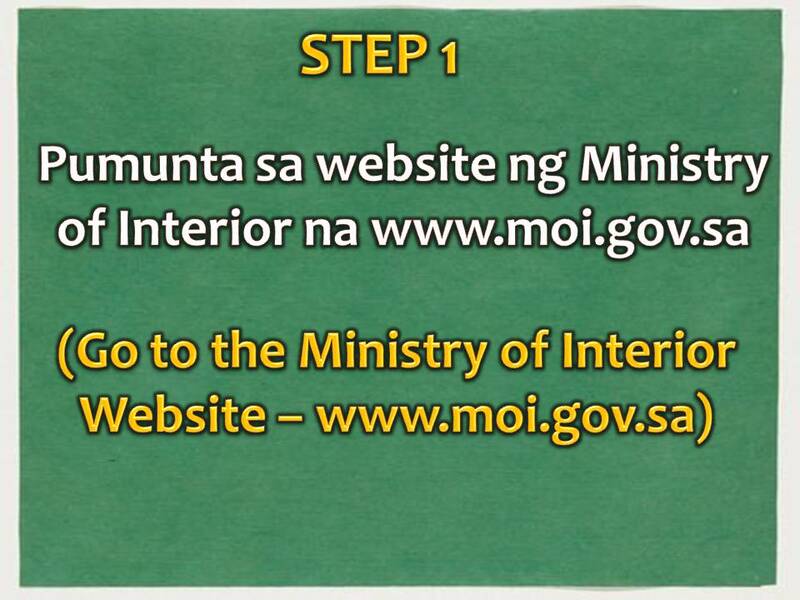 If Iqama number is known, apply for an appointment online via the Ministry of Interior's website (see the procedure for applying for online appointment for Amnesty). Proceed to the Jawazat processing centers with valid passport/travel documents on the scheduled appointment date and time. 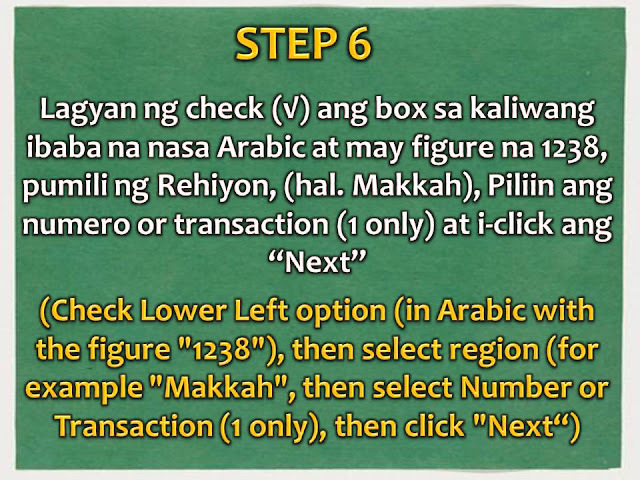 Follow the instruction/guidance of the Jawazat. Proceed to then Philippine Consulate General in Jeddah to secure travel documents or to have expired passport/travel documents extended. Special mobile consular services will be conducted in Madinah, Tabuk, Asser, Najran, and Jizan region to assist Filipino national in availing of the amnesty program. 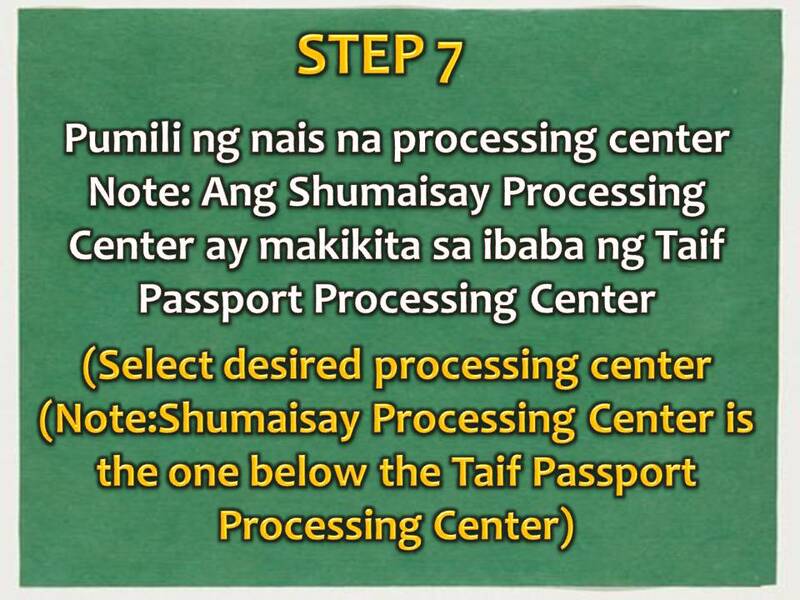 Proceed to the designated Jawazat processing centers with valid passport/ travel document on the scheduled appointment date and time. 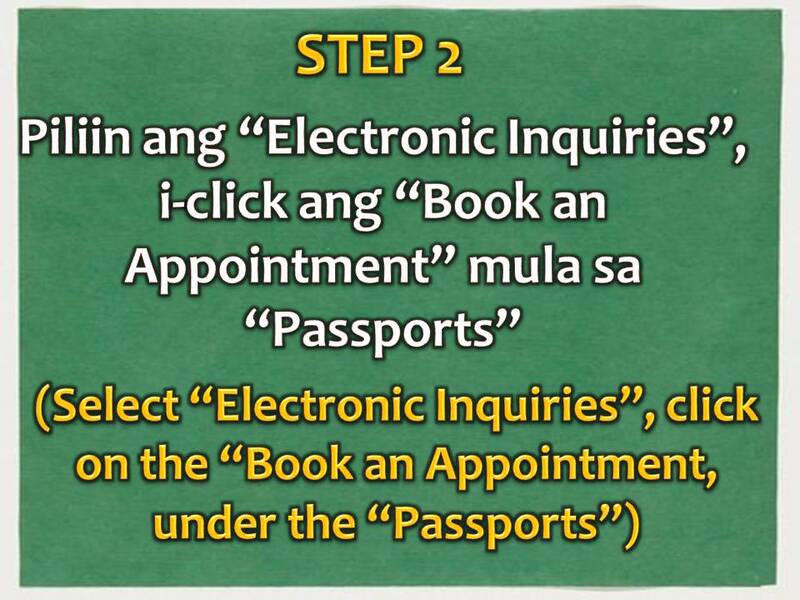 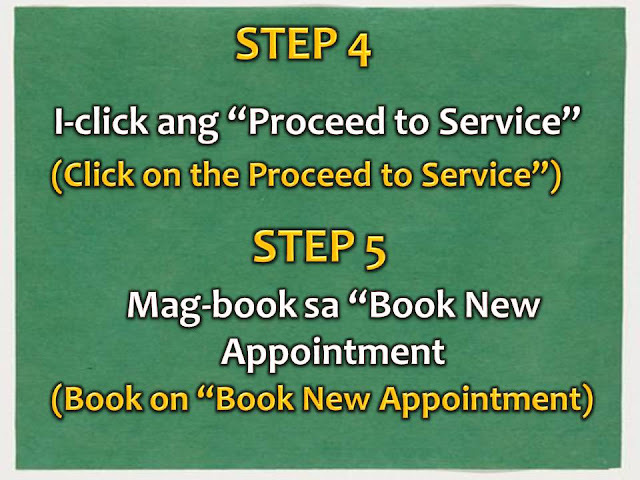 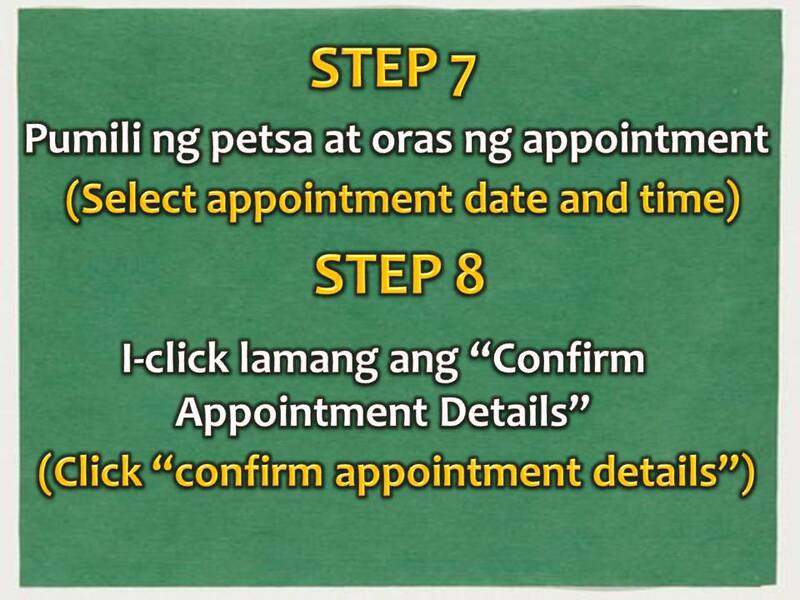 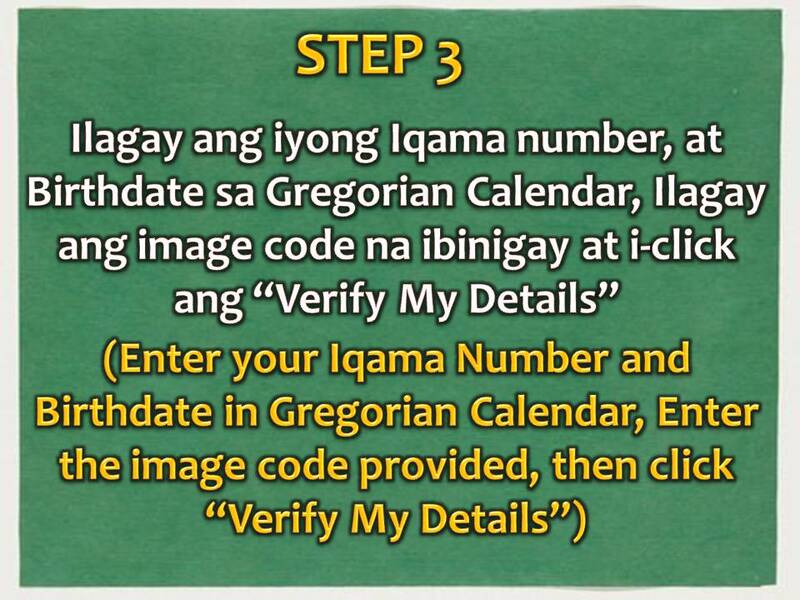 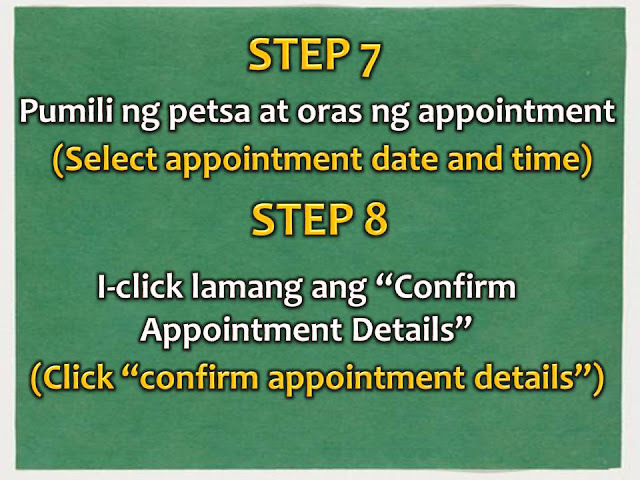 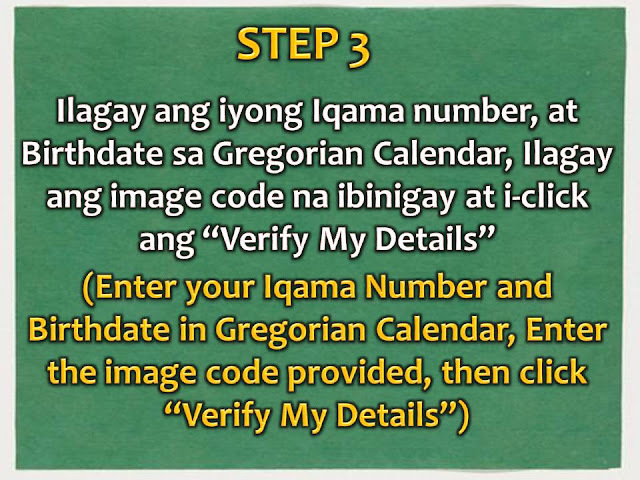 For those with known Iqama Numbers, here's the procedure for online appointment for Amnesty.